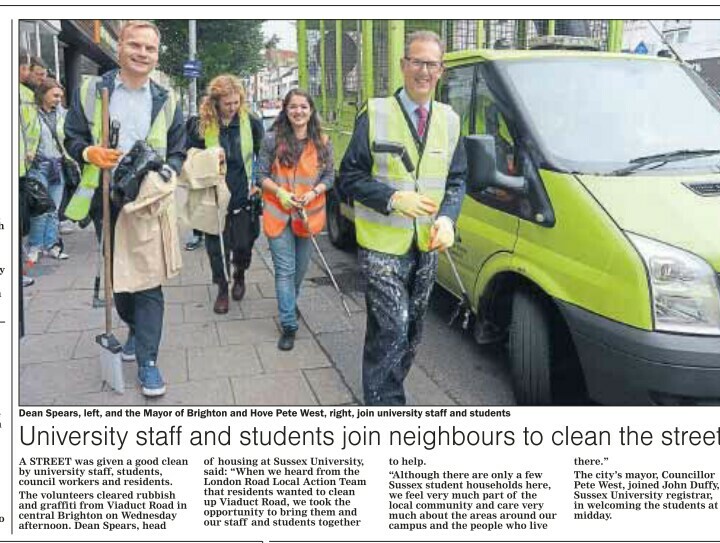 Thanks to all who took part in this clean up – at the kind initiative of University of Sussex. 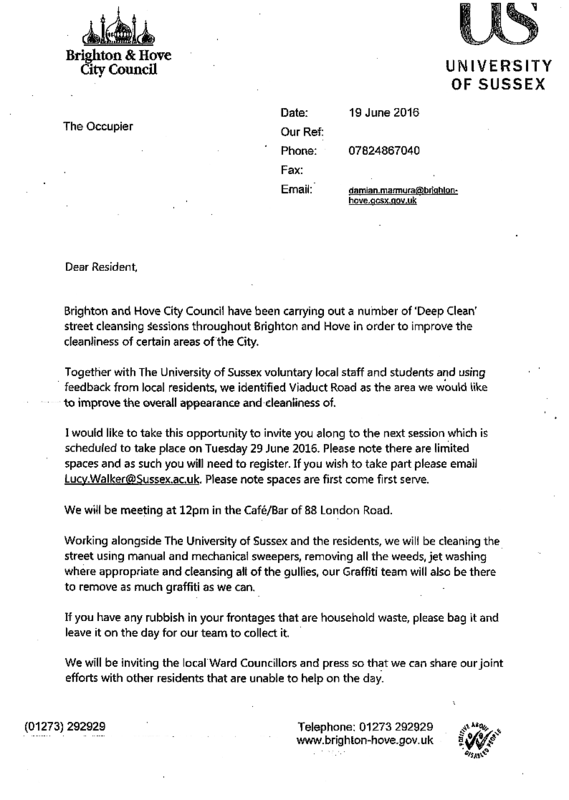 Below is the letter to residents from Brighton City Council – City Clean department. Particular thanks to superstar Damian Marmura for his support.